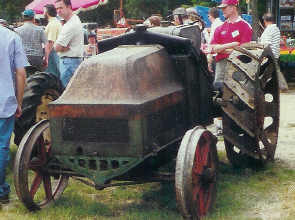 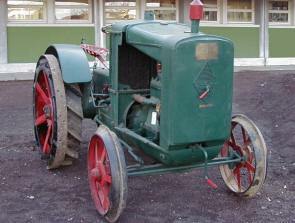 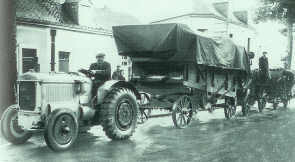 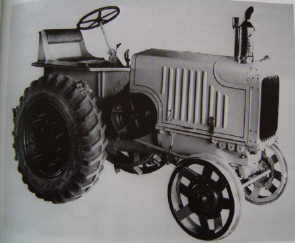 The first series of tractors for agricultural use came out just after the First World War. 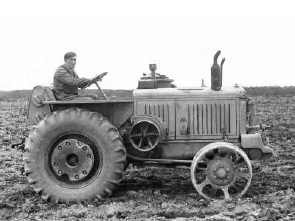 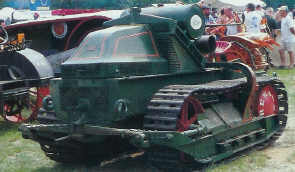 These tractors were based on the FT–army tank, which were used in this war. 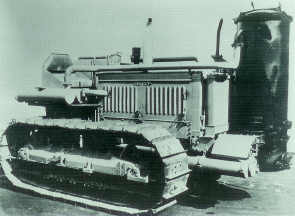 The GP–type (on caterpillar tracks) was the first type, which was directly derived from the FT tank. 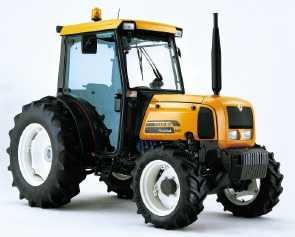 Very soon, different versions came on the market, under which a one equipped with a gas generator, and several with a petrol or diesel engine. 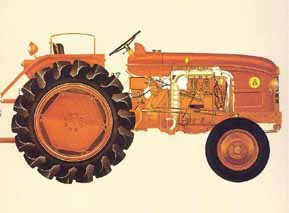 The type called HO was the first tractor with wheels. 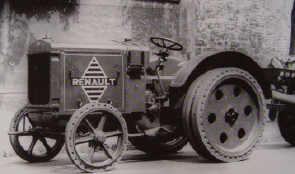 Over the years more different models were made, so Renault could supply a suitable tractor to every sector. 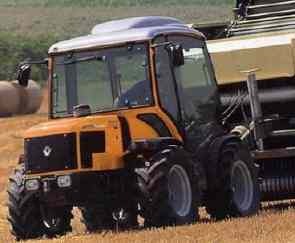 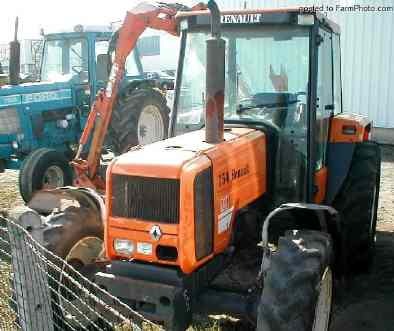 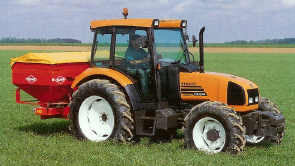 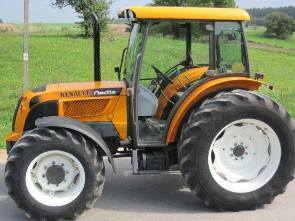 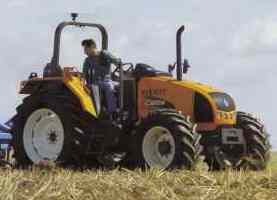 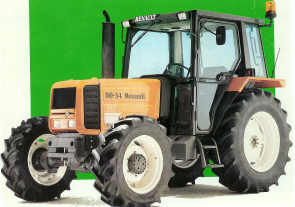 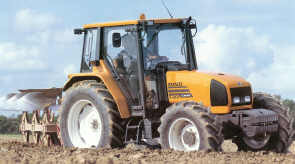 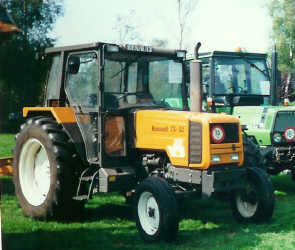 As far as it concerns tractors, Renault co-oparates with several other brands, such as: Motomeccanica, Allis-Chalmers, Carraro, Mitsubishi and Claas. 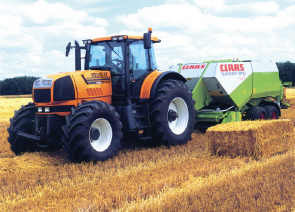 The latter: Claas owns 80% of the Renault-Agricultural shares since 2004, which means that from now on the Renault tractor will be sold only in the Claas colours. 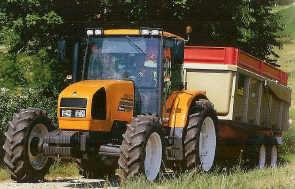 The yellow ochre colour can only optional be ordered, but will be available in France (for a while). 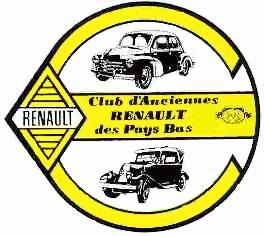 From 1919 till 1939 Renault used, just as was the case with the cars, characters as type indication for trucks and buses, but with the increasing number of models 1 character wasn’t enough, so later on 2 or 3 characters were used as type indication. 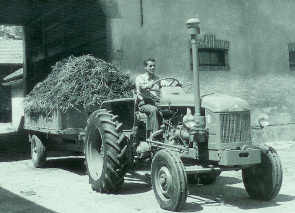 The outbreak of the second World War had a great influence on industrial production in Europe. 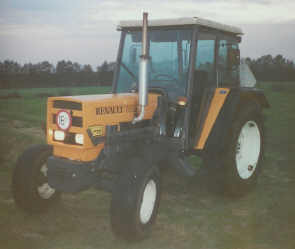 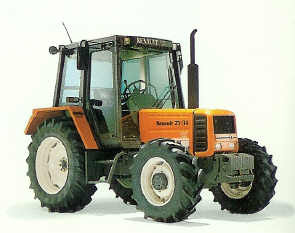 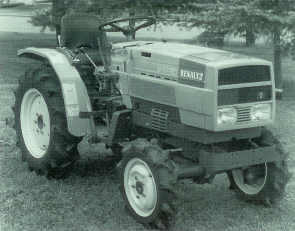 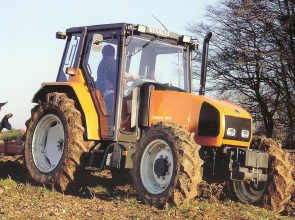 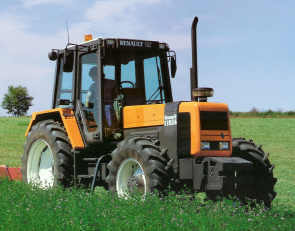 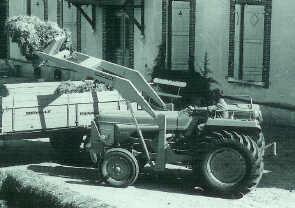 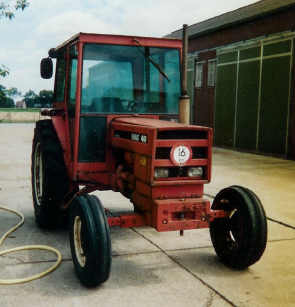 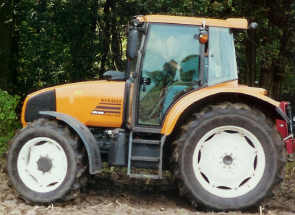 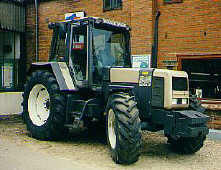 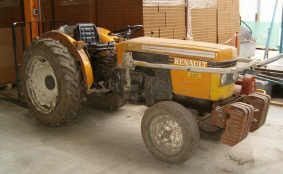 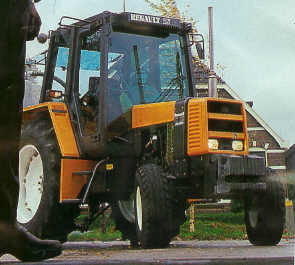 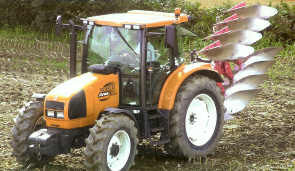 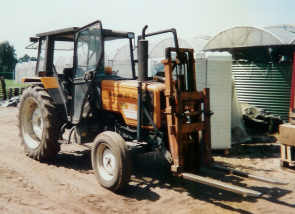 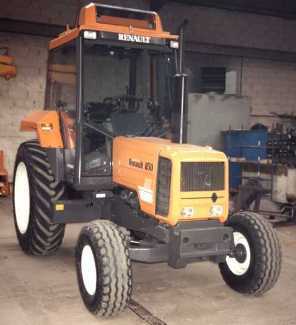 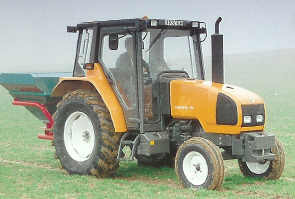 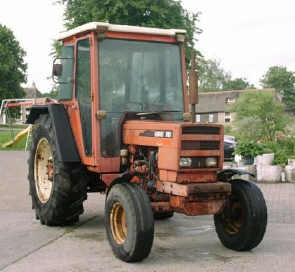 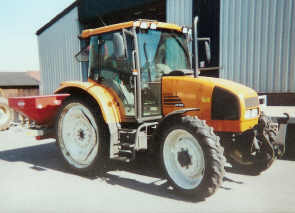 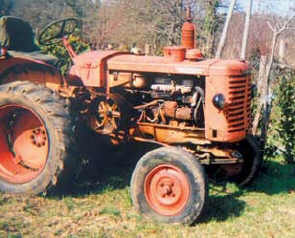 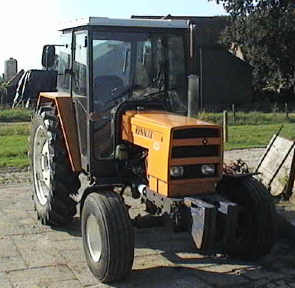 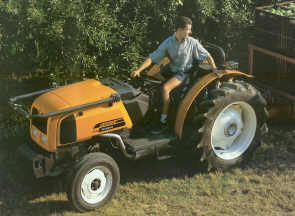 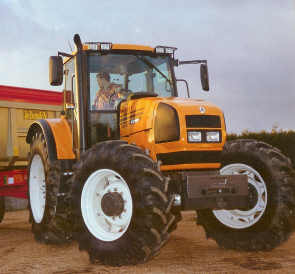 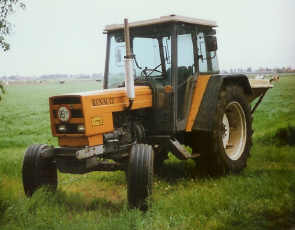 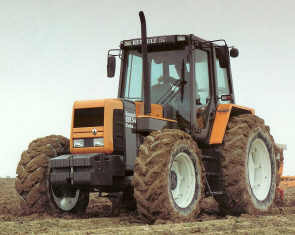 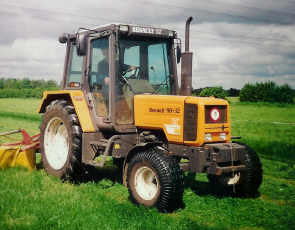 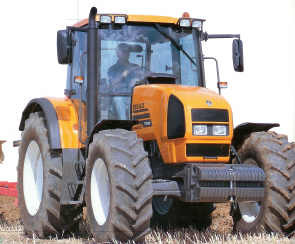 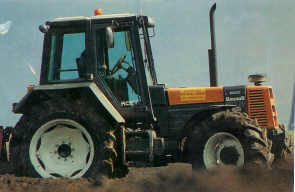 Because of feedstock shortage Renault was forced to produce only a limited series of new tractors, stripped of all its trimmings. 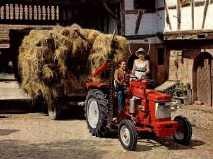 After this war Europe was reconstructed with all one’s strength. 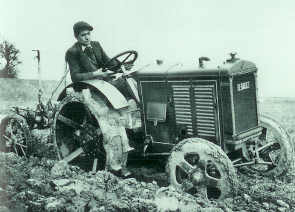 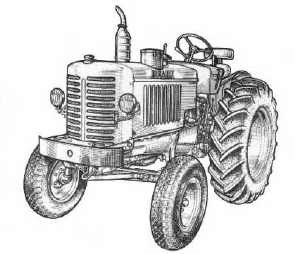 There was a great demand for tractors in order to bring the production of food to standard. 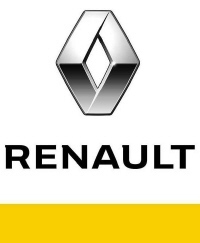 World War II didn’t leave Renault undamaged, moreover, the works had been bombed and Louis Renault died under mysterious circumstances. 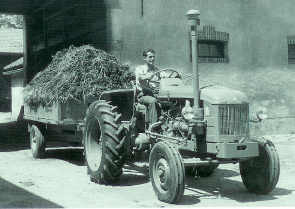 A few months after liberation the factory was brought under public ownership. 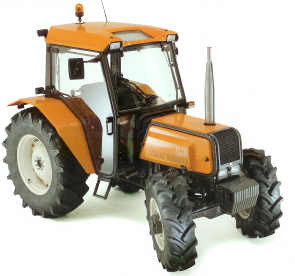 A new model came out, based on already existing techniques. 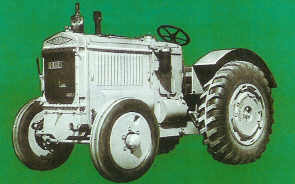 Now 4 numerals were used as type name. 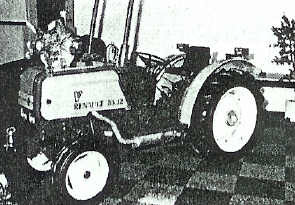 Renault used sources of power which came from their own factory and from Hispano-Hercules and Perkins. 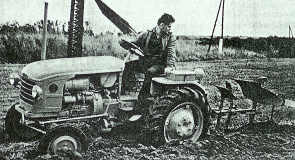 In the fifties the mechanization of agriculture was well under way. 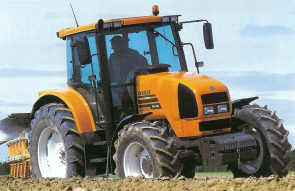 Sales figures were on the rise, as well as the average engine power. 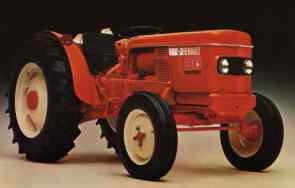 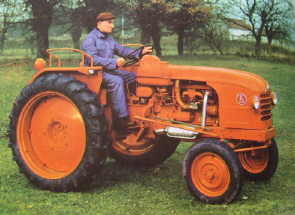 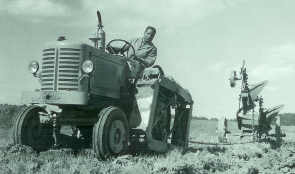 The whole new D- en N-series were tailored to the demands of the modern farmer, and in 1956 the diesel-engine was the most popular source of power, especially after the introduction of the purpose-made agricultural diesel (red-dye diesel). 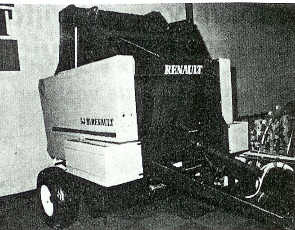 Renault purchased all its air-cooled engines at MWM (Motor Werke Mannheim) in Germany, but also used water-cooled Perkins-engines, bought in the USA. 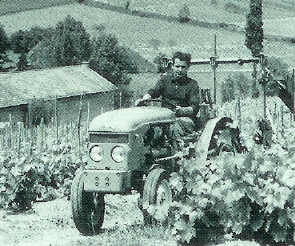 The type N stood for normal width, type E for narrow gauge and type V for the wine grow version. 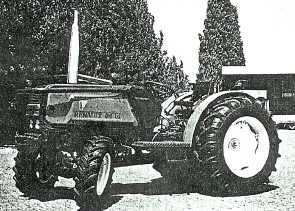 It was from 1960 to 1963 that the Renault program included the Motomeccanica Super 108, due to the great demand for even more engine power. 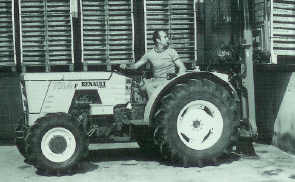 Towards the end of 1962 Renault introduces the Super-series. 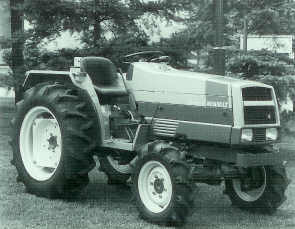 First of all the Super 7, its external features and technically being similar to the N-series. 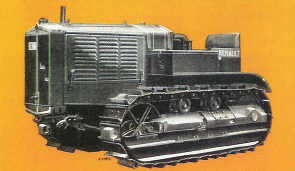 Outwardly new, technically renewed and available in more different engine powers were the Super 4 and the Super 5, every model available in the normal, narrow-gauge and wine grow version. 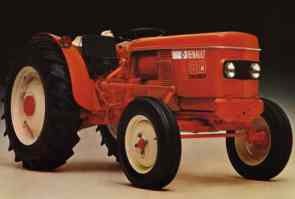 The external features of the Super-Series were renewed in 1964 and two new types came on the market, the Super 3 and Super 6, with a square hood and higher rear mudguards as their most striking features. 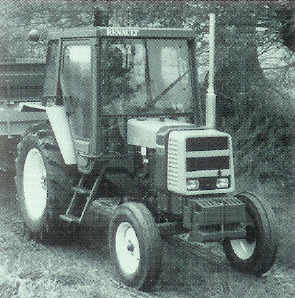 In 1965 all types got a D against their name, a changed grille, but it was the lifting equipment that had changed most. 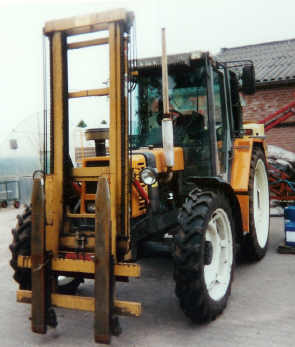 In the D-Series the so-called Tracto-control, a kind of automatic depth control of the lifting equipment, was used for the first time. 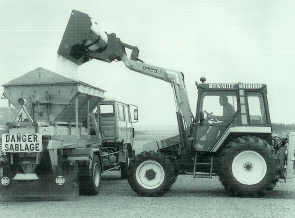 With one handle one adjusts the required dept, and with the other handle one can lift the machine up and down. 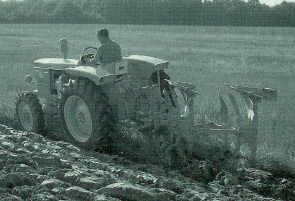 The required depth is kept up automatically as adjusted before. 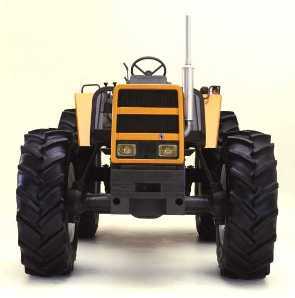 Tracto-control also works in case of unevenness of the ground and maintains substantially the same depth level. 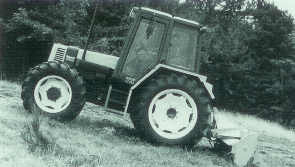 The first four-wheel drive Renault tractors appear on the market in 1966. 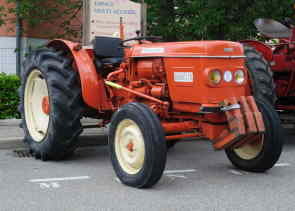 The Super 2D series was equipped with an Indenor engine and was available in two colours: (reddish)orange and red, and from the introduction on the rims of the Super-D series are sprayed white. 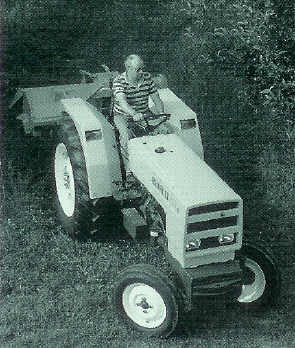 And in 1963, as the programme’s peak, first the R385 has been introduced and somewhat later the Master 1 en Master 2. 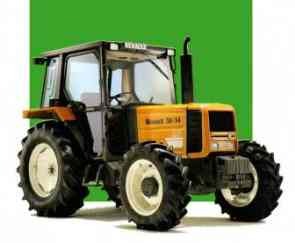 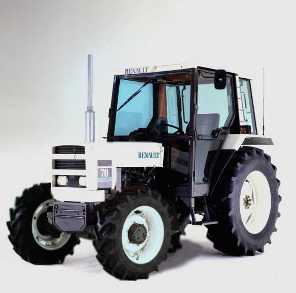 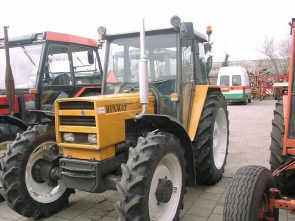 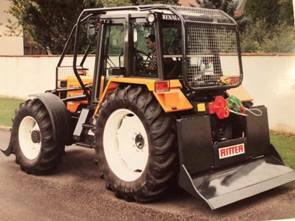 The Master 1 was equipped with a 4 cylinder, air-cooled MWM-engine and the Master 2 with a 4 cylinder, liquid-cooled Saviem-engine, and with the latter also available in a four-wheel drive version it where powerful tractors. 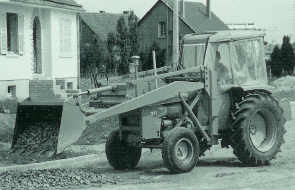 The Master TP (Travaux Publics = Public Works) was a yellow, industrial version of the Master series, designed for, among others, the French government. 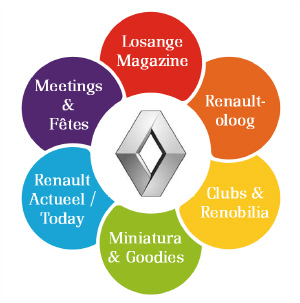 In March 1967, Renault started with a completely new range of models. 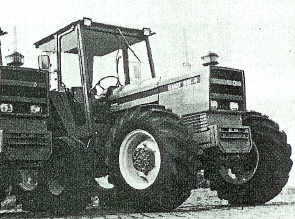 Especially esthetics became important with the introduction of the 50- and 80- series. 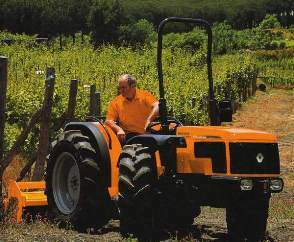 A well designed hood with build-in head lights gave the Renault tractor its own identity. 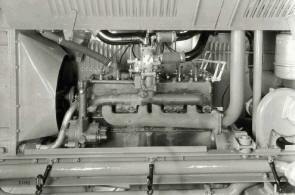 The engines that were used were once again made by MWM. 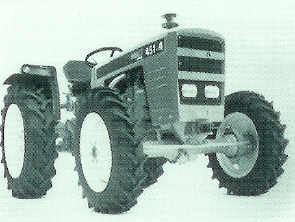 The 4wd types could be recognized by the number “4” in front of the type. 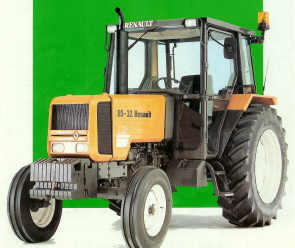 In 1969, Renault launched the 90-series, which was introduced because of the growing demand for higher HP, combined with 4wd traction. 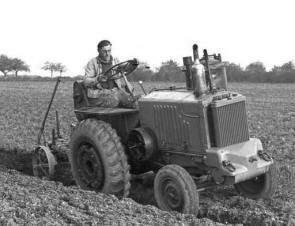 These were the first tractors that were originally delivered with standard cabin, a new hood and splash-boards. 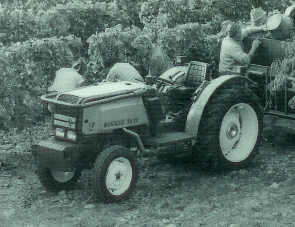 At the end of the 60's power steering was used more and more often and a special series of narrow and winery tractors were made in 1968, the Renault 50, 60, 70 and 80. 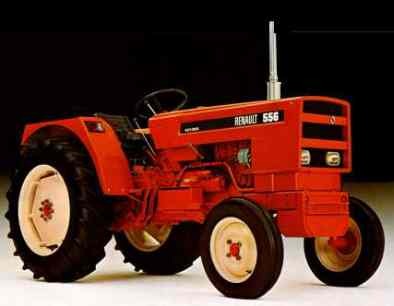 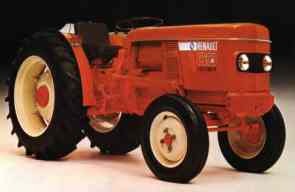 The American market also proved to be important when Renault had to build a 40HP tractor for Allis-Chalmers, the “One-Sixty”, which was based on the Renault 50 series (standard track), After a couple of different production lines, the love between Renault and Allis-Chalmers was over. 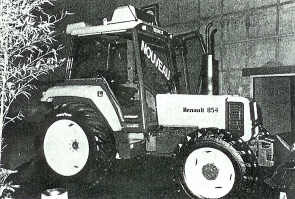 A last effort to work together was model 1451, which was shown in Paris during 1973, but was never sold in Europe. 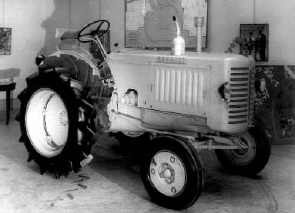 It was an Allis-Chalmers, wrapped in Renault sheets. 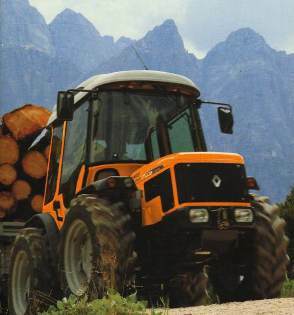 Starting in 1972, Renault used Carraro front axles in al its tractors. 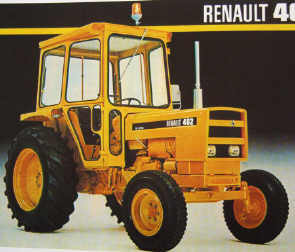 These were made in Italy and caused, once again, another cooperation, which also resulted in Renault buying a large amount of shares in that company in 1974. 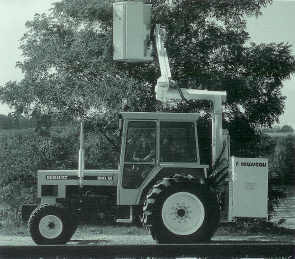 At the beginning of 1973, this led to the introduction of 3 new types. 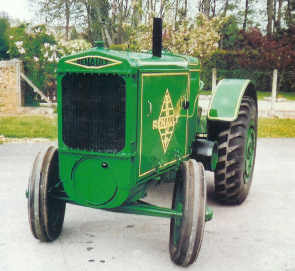 They were Carraro machines, sprayed in Renault colors, tagged by the Renault type number, an added “R” and the name “Renault”. 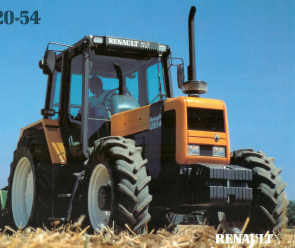 In May 1973, Renault started the introduction of a new series that was to become the most expanded one in all of Renault's history. 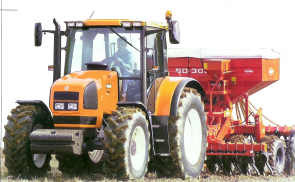 Almost 80 different types, starting with the 301 and ending with the 1451-4. 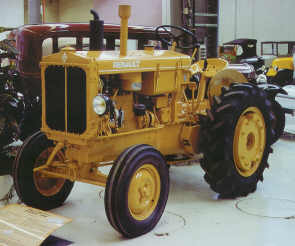 Depending on the model, an “S”- or “M”- type was created. 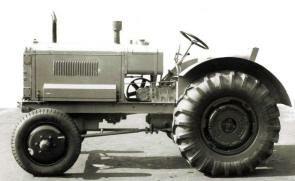 A new nose, new cabins, MWM engines (sometimes with 4wd), tracto-control, different gear boxes, absolutely anything was possible. 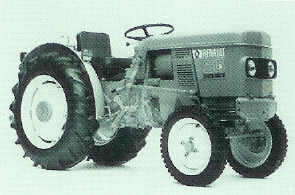 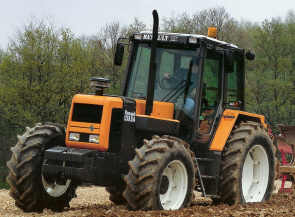 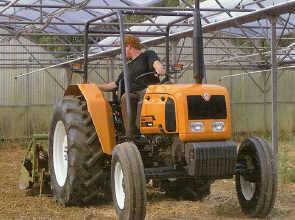 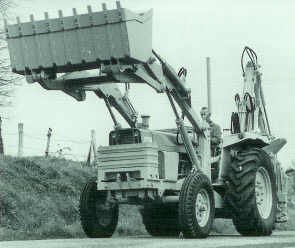 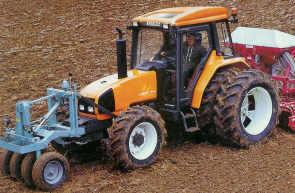 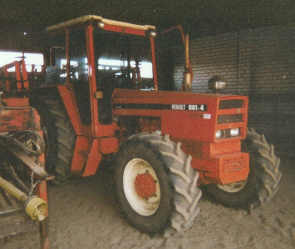 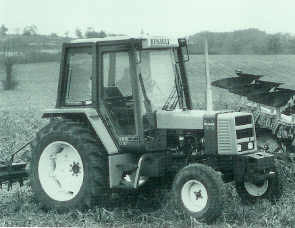 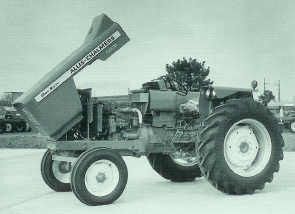 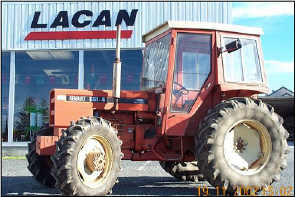 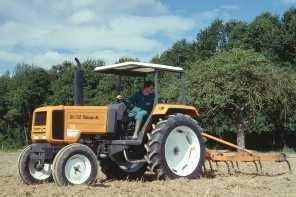 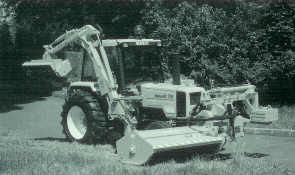 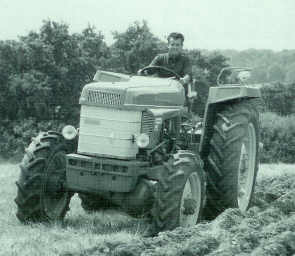 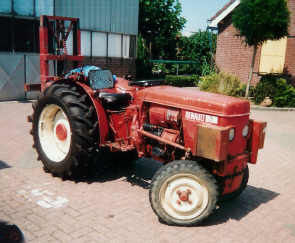 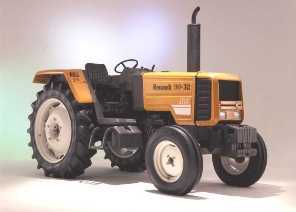 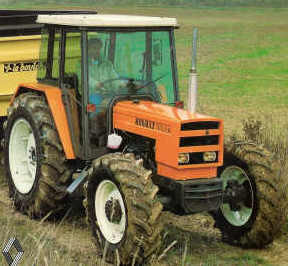 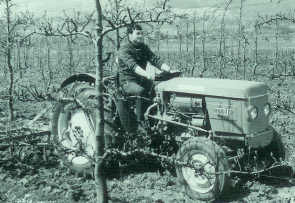 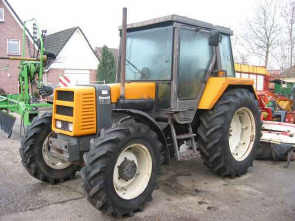 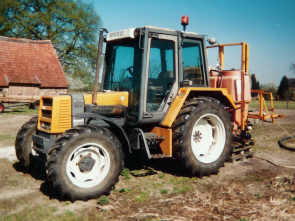 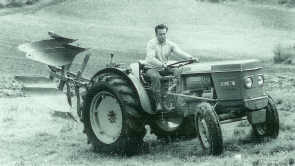 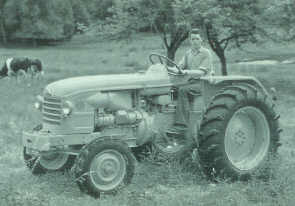 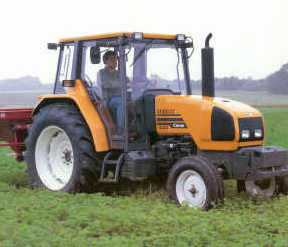 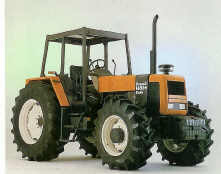 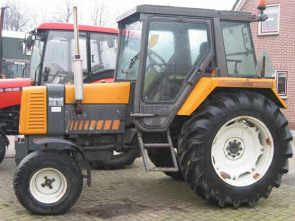 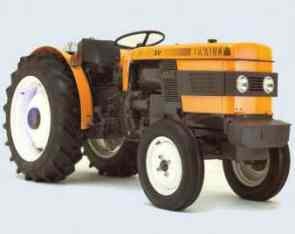 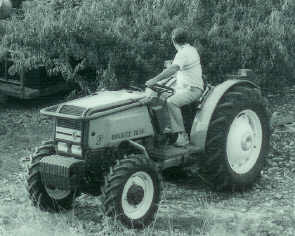 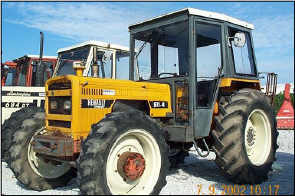 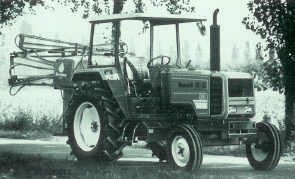 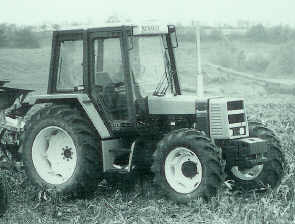 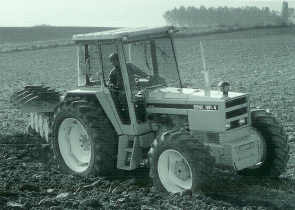 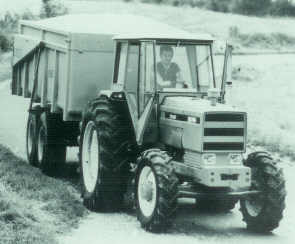 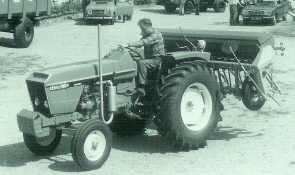 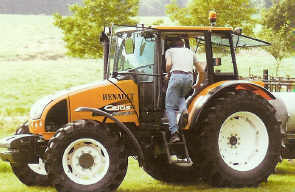 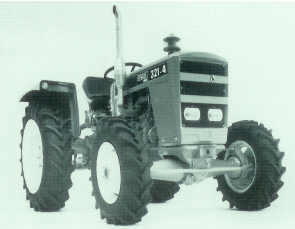 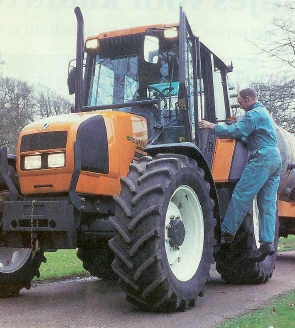 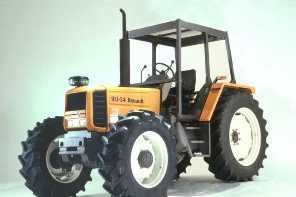 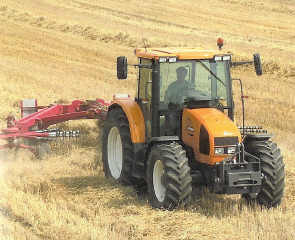 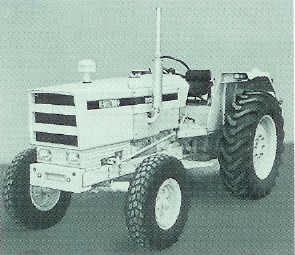 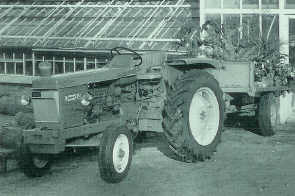 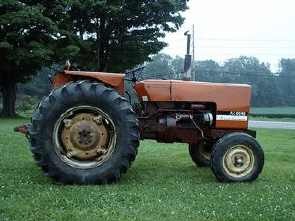 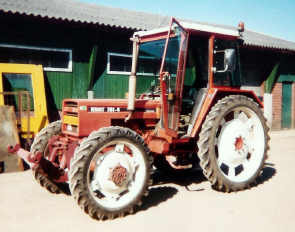 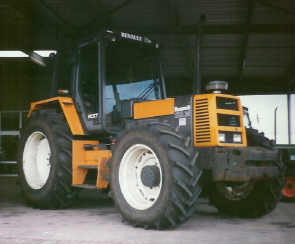 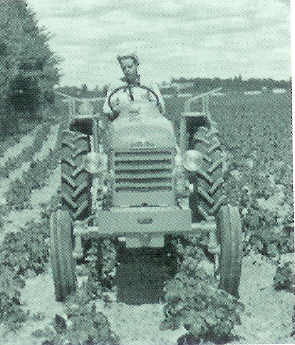 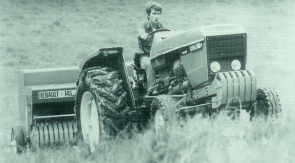 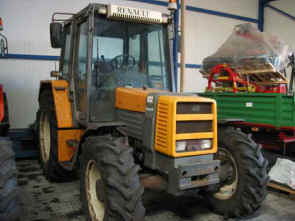 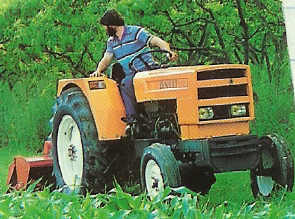 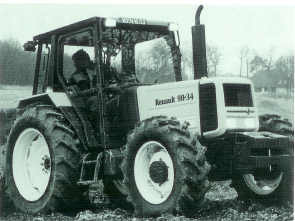 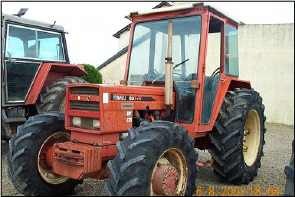 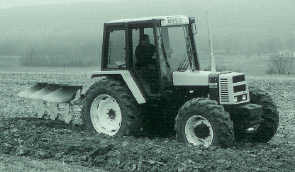 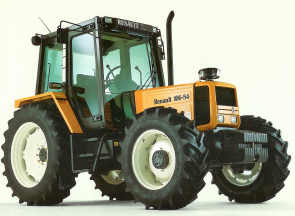 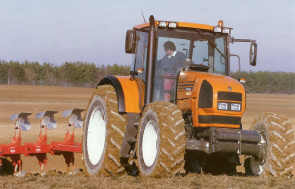 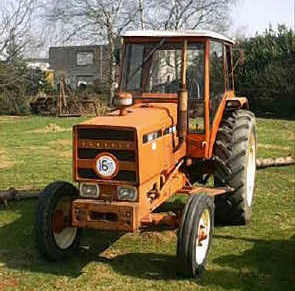 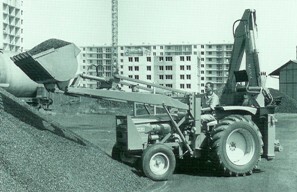 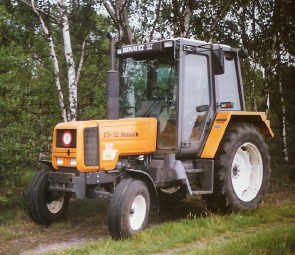 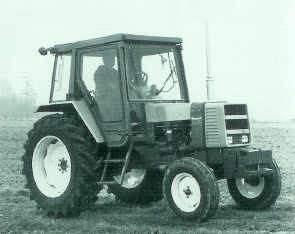 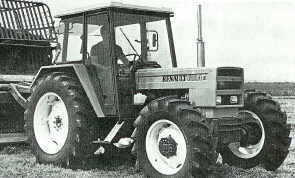 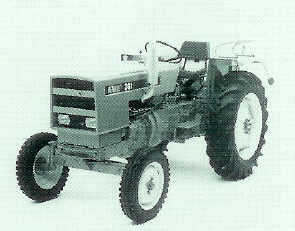 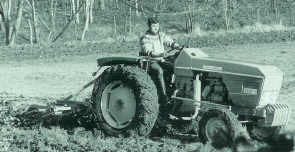 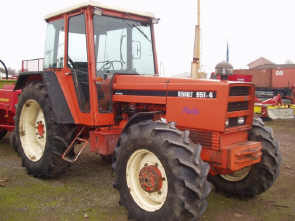 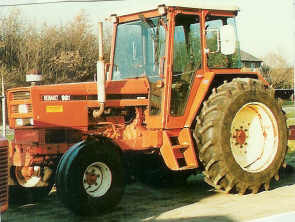 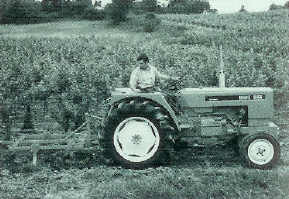 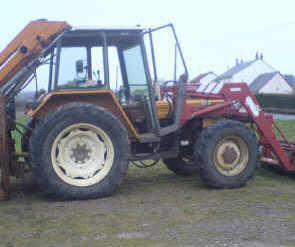 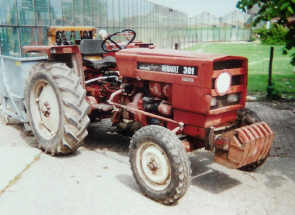 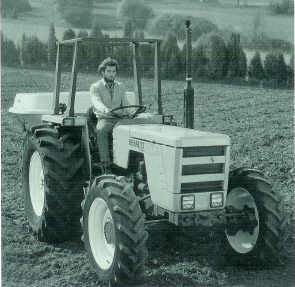 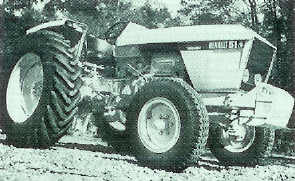 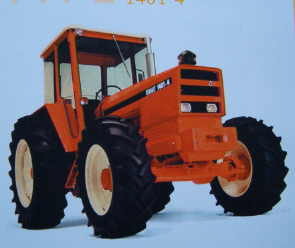 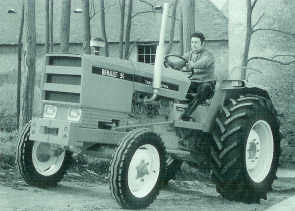 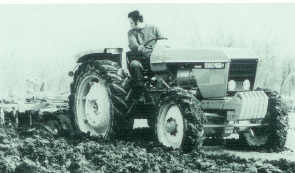 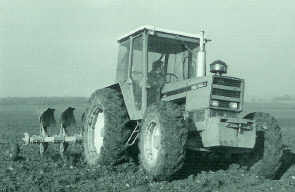 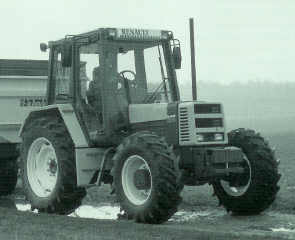 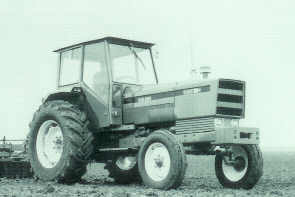 Tractors with higher power were launched in 1974. 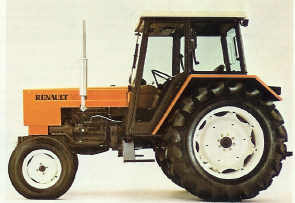 The Renault 460, which was created in 1975, was the last addition to the first special series of narrow and winery tractors. 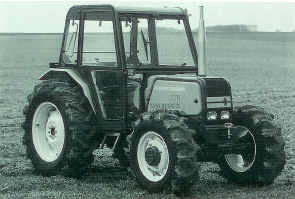 In 1976, the complete narrow series was modernized. 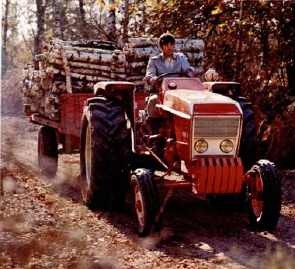 The whole series was tagged with an “S” at the end of their name. 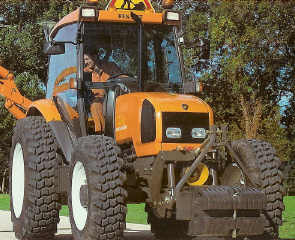 Exterior-wise, they could be recognized by their black goggles, which surrounded the head lights. 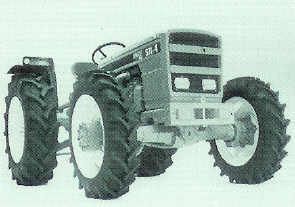 A “4” was added in front of the type for the 4wd models. 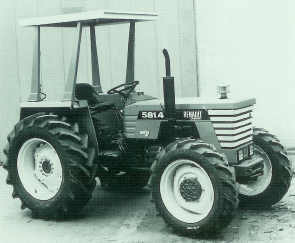 In 1977, the 571-4 was slightly changed. 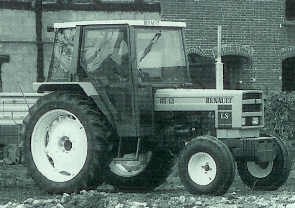 The head lights were moved from the bottom to the middle of the grille. 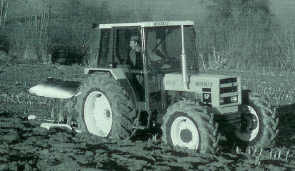 All types, starting with the 781, were given a new super luxury cabin in 1977 as a standard option. 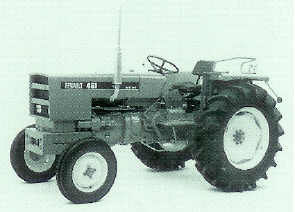 This was also added to the 461, the 551 and the 654 in 1979. 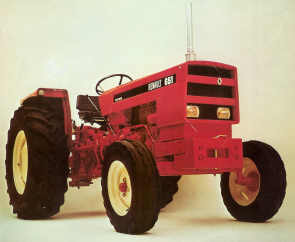 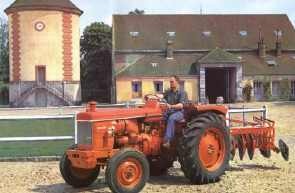 At the beginning of 1980 another 2 new Carraro tractors were released, which had a new exterior. 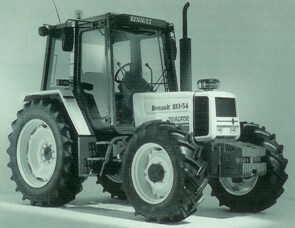 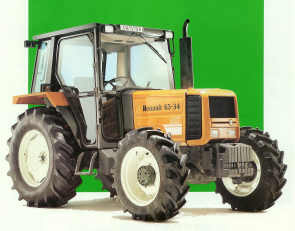 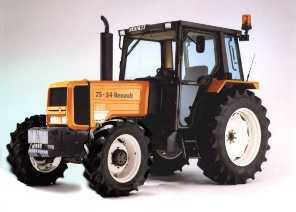 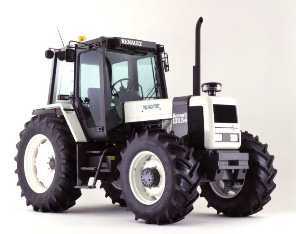 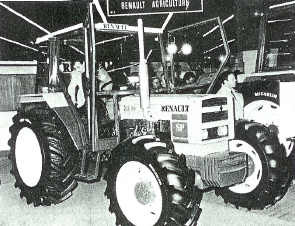 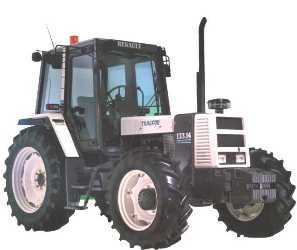 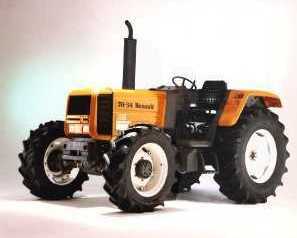 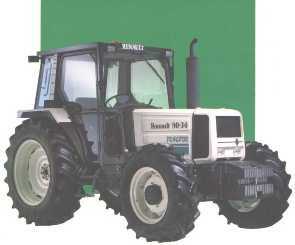 In 1981, during Sima, an agricultural show in Paris, absolutely everyonewas astonished by the newly introduced TX-series. 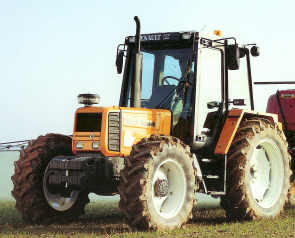 A new generation of tractors that was leaving all the competitors behind them. 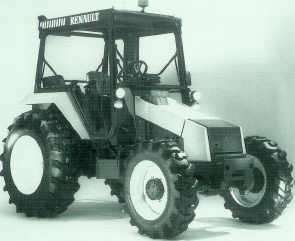 On top, this was the first series to be released in a new color scheme: Anthracite- ochre white. 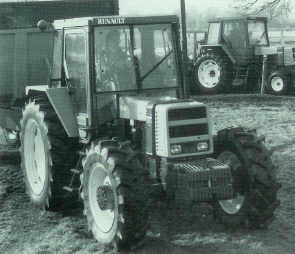 These tractors scored max when it comes to technique and comfort. 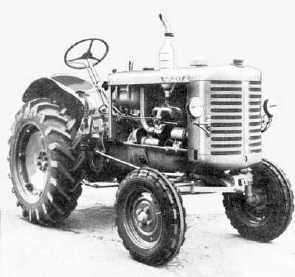 Initially, only 6 cylinder engines were used, but these were later also downgraded to 4 cylinder versions. 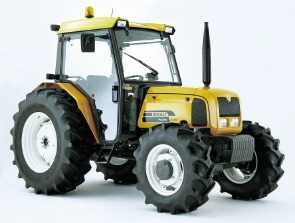 Due to the high demand for a cheap TX version, the TS was released. 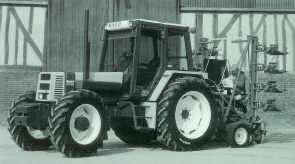 The known S-series was slowly phased out because of the TX. 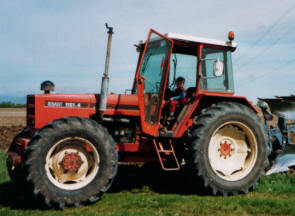 More smaller versions of the TS series were made a 2 new Carraro types were issued in 1982. 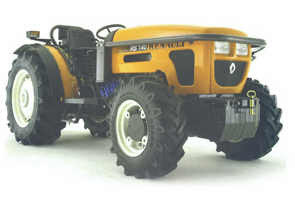 These were released in the Renault color scheme and were provided with Perkins engines. 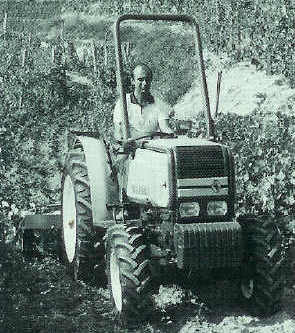 At the end of 1987, the Carraro story was over. 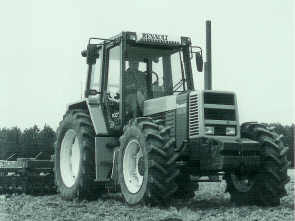 The narrow series was completely revised in 1984 and the new type of name, the TX- and TS-, were now used. 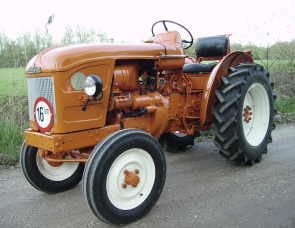 A combination of numbers, completed with a letter. 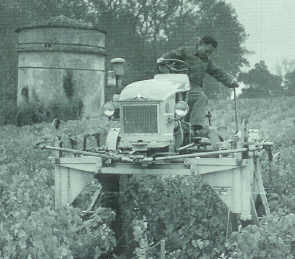 The V (Vigneron) or the F (Fruitier) were added. 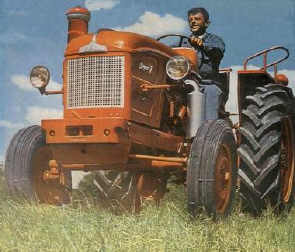 The biggest external changes were the new grille, front and side, and the new layout of the name and type on the hood. 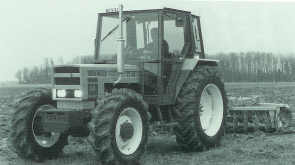 In 1984, the TX- and TS-series were accompanied by the RS-series, which were equal to the TS-series, but had a cheaper and more simple cabin. 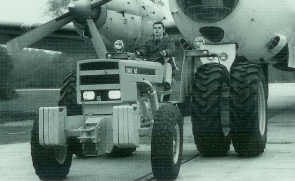 These were available with different engines. 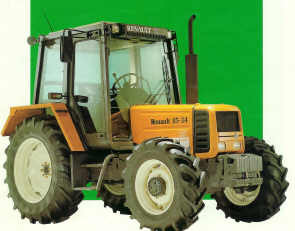 A small side note from the 80's was the D-series, which were bought from Mitsubishi. 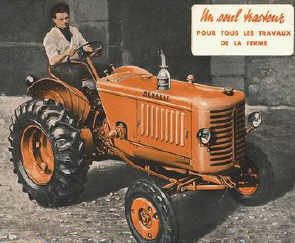 These small tractors were somewhat adjusted to live up to the Renault criteria. 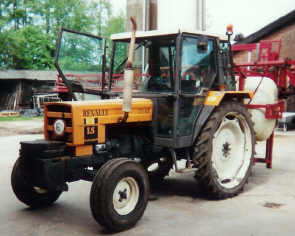 Halfway the 80's Renault had a very extensive agricultural offer. 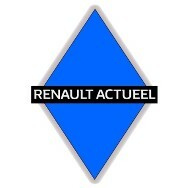 Apart from that, Renault had allot to offer to the industry in general. 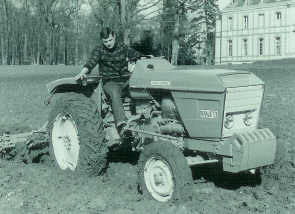 Especially the French government was a good customer. 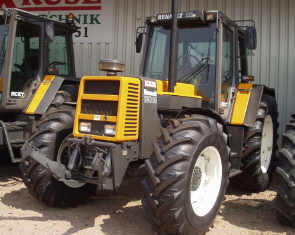 The bought allot of special machines. 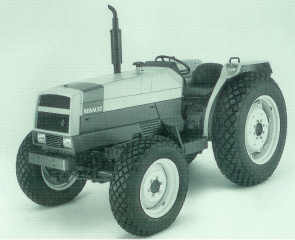 The 600, 700 and 800 M and H models were available in allot of different shapes for specific purposes. 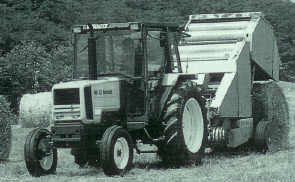 New in 1986 was the LS-series with MWM engines. 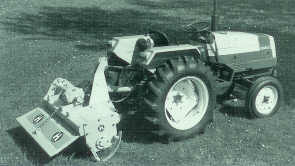 These were also available with Perkins engine and could be recoginzed by their type “SP”. 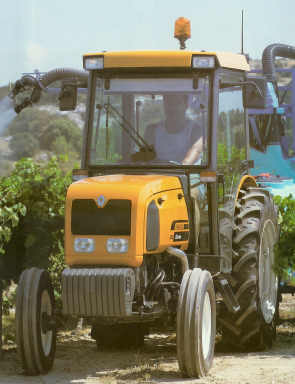 When the narrow and D-series came to an end during the end of 1986, Renault is ready for a new generation of garden and winery tractors. 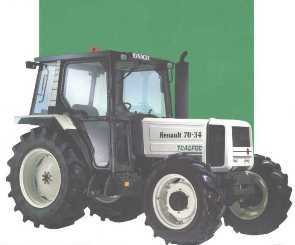 The V, F and LB series were announced. 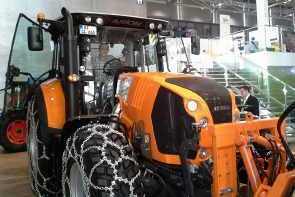 Each were very specific machines and were made differently from customer to customer. 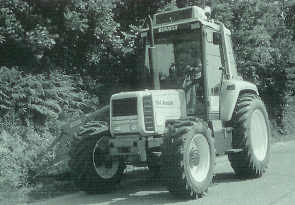 Biggest news in 1987 was the introduction of the TZ cabin. 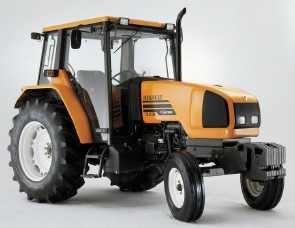 A cabin that was mounted of 4 shock absorbers was once again a progressive step with regard to the competition. 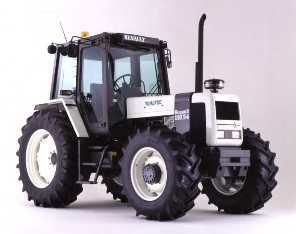 On the SIMA show of 1989, Renault presented allot of changes in their programme. 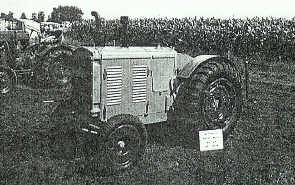 The new M- and P-series were introduced. 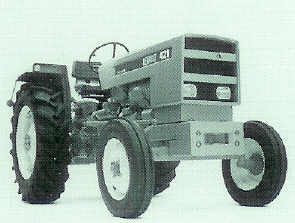 Furthermore a large diversity of new versions of the T-series were made. 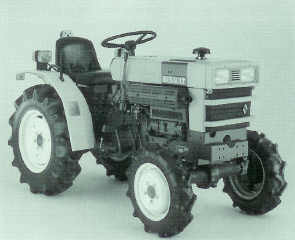 The M-series got a MWM engine and the P-series received a Perkins engine. 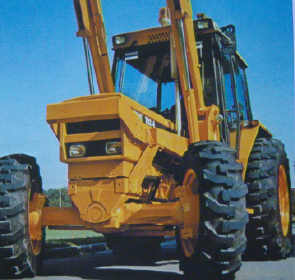 Externally their nose resembled the TX-series allot. 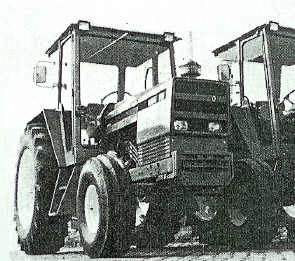 The M- and P-series were to be delivered until early 1993. 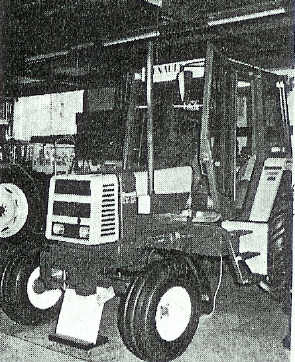 Based on the T, M and P-series, allot of industrial variants were released under the names of 600, 700, 800 and 900 MI and MI Hydroshift. 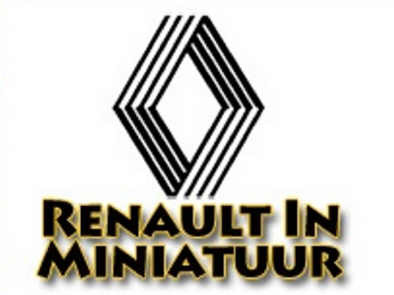 Renault has now changed from a large production line supplier to a highly specialized factory where almost every machine is uniquely build to the satisfaction of each customer. 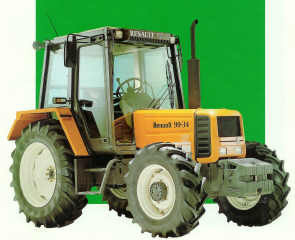 Their new top model, the gold metallic NECTRA, was released the end of 1991. 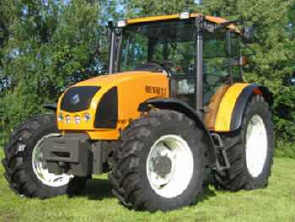 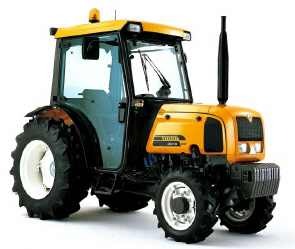 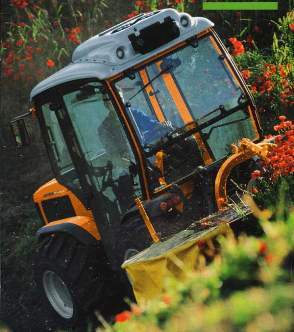 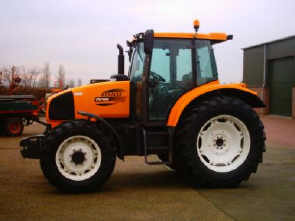 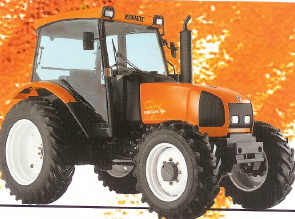 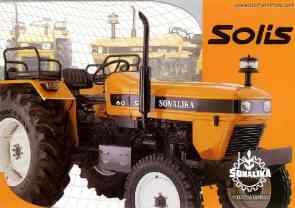 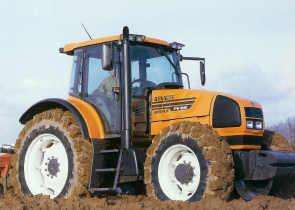 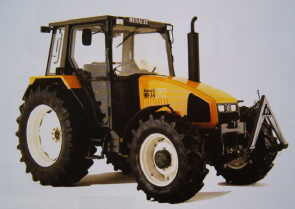 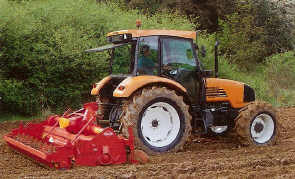 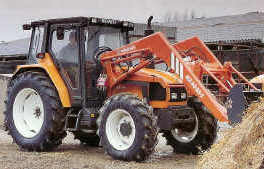 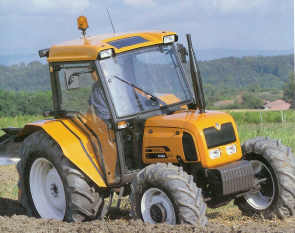 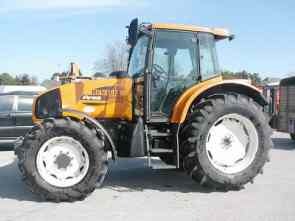 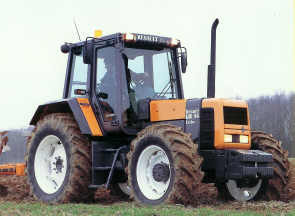 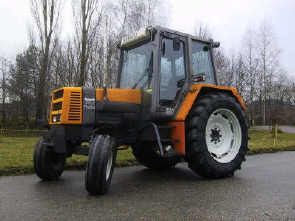 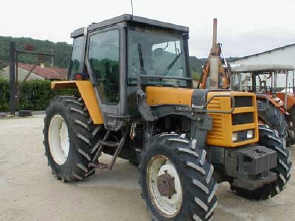 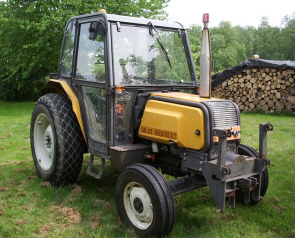 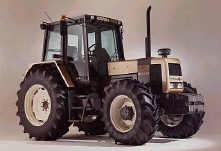 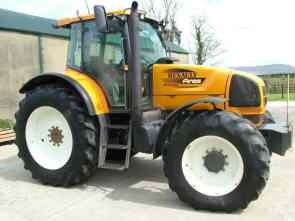 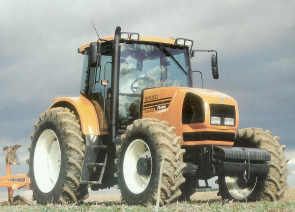 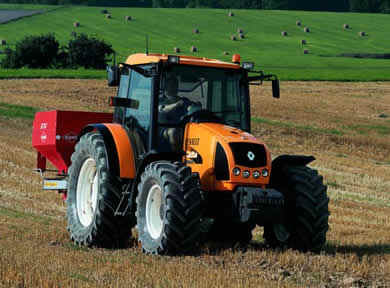 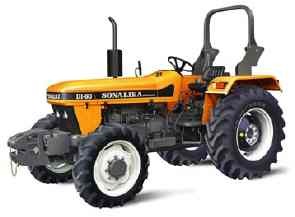 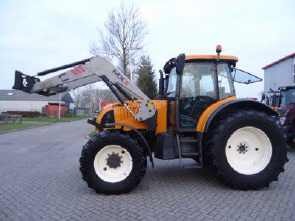 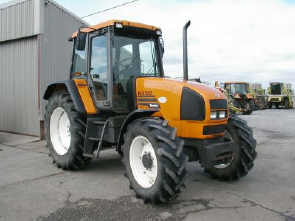 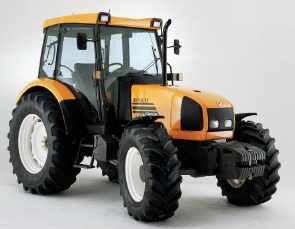 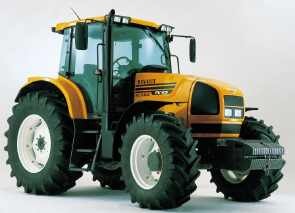 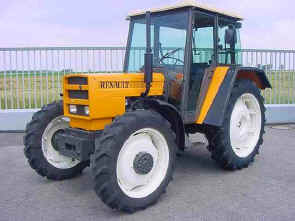 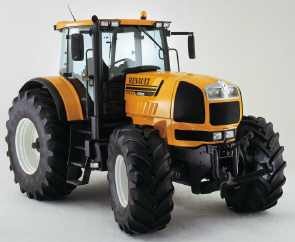 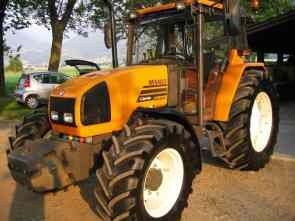 This machine is a TZ-tractor equipped with unsurpassed luxury. 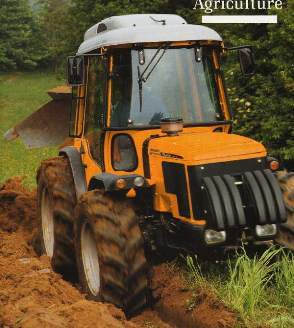 During the 90's, the design was becoming really important. 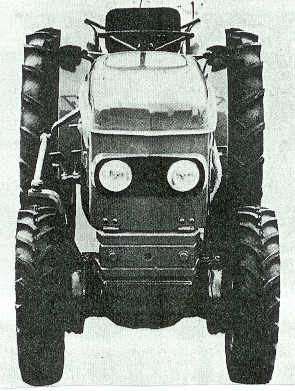 Styling becomes more and more daring. 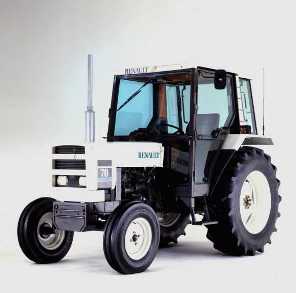 Their ever growing improvement for ideas sees that a limited series of the FT was released in 1992, which was already delivered to customers in 1993. 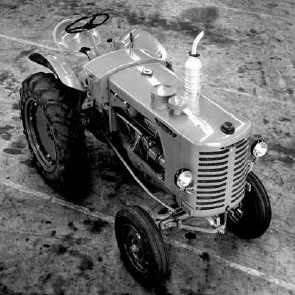 Shortly afterwards, the new Ceres generation is lurking around the corner. 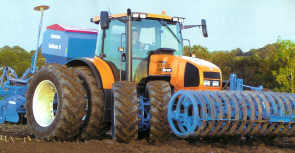 Round shapes are their new standard. 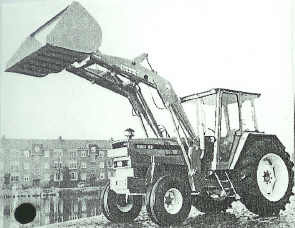 A rounded nose, splash-boards and roof are taking care of a new modern look. 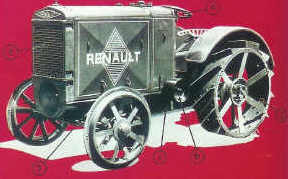 A few years later, the complete Renault offer is designed to the same standards. 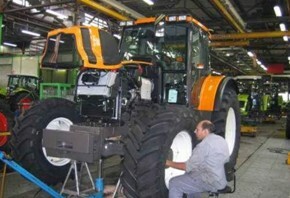 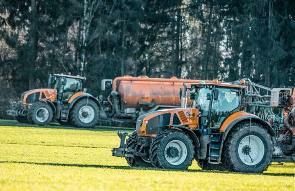 The Ares, Cergos, Ergos and Atles machines are making sure tractor design is equally important than truck design. 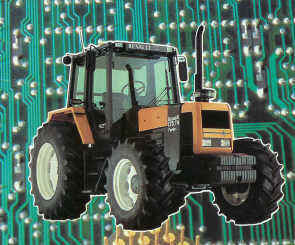 The fact that they have been designed for years now using a PC stresses this. 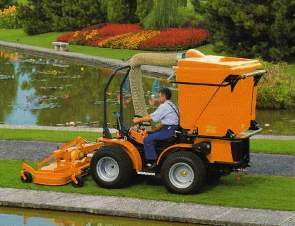 Smaller machines, such as the Dionis, Fructus and Pales are styled using the new design. 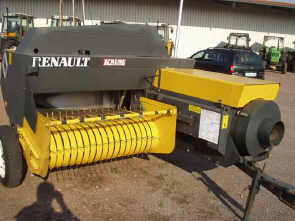 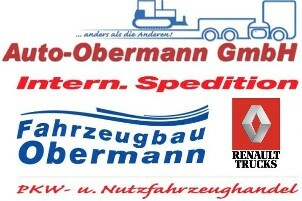 Furthermore Renault has now also delivered machines with more than 250hp for the first time. 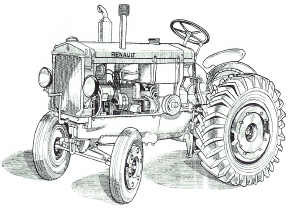 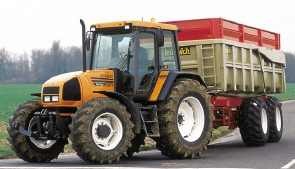 During the time that Renault had a complete programme of machines they decide to shove off their complete agricultural industry, as well as their truck and bus divisions. 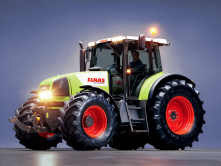 Claas, who has been producing fabulous machines for years, is found to be a very good partner. 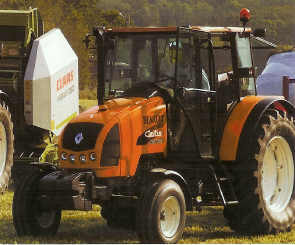 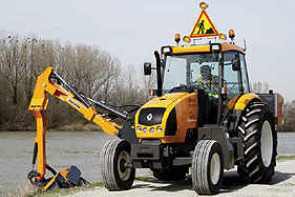 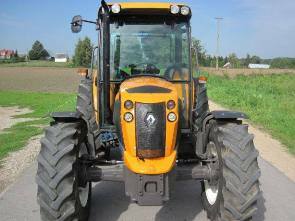 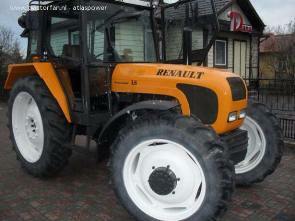 Renault machines are now being sold in Claas colors. 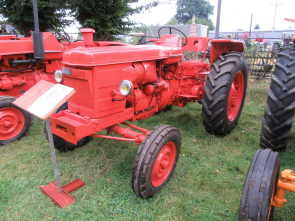 (Light green and white with red rims) Type names on the other hand, are kept as they are.